What's the Best Mattress for Arthritis and Aching Joints? What’s the Best Mattress for Arthritis and Aching Joints? When someone asks what the best bed for arthritis is, that is a question that can be harder to answer than you think. Like with just about everything, there are varying levels of pain and even differing types of arthritis. So, there is no one bed for arthritis relief. That said, you can look for a mattress for joint pain relief and as you’ll see in the sections below, there are certain things you can seek out in mattresses that aren’t necessarily sold as the best mattress for aching joints, but still gets the job done regardless. If your arthritis is bad enough that you’re looking for a mattress for joint pain, you should be on the lookout for a few things. Some of these things, like the firmness of your new mattress, will be expected, but others, like a 30-day or longer trial, are equally as important when you’re picking out the best mattress for aching joints! Firmness – If you have arthritis and you’re looking for a bed for joint pain, a firmer mattress is going to be what you need. A firm mattress will give you the much-needed support on your shoulders and hips. It will also see that your spine is properly aligned. That said, the firmest mattress may not be the right bed for joint pain. You want something firm enough to be supportive, but not so firm that it actually causes you pain. Support – Firmness and support are often lumped in together, but where arthritis is concerned its worth a second mention. Arthritis will cause inflamed joints, and if you have a mattress that is too firm, it can also feel rigid. While support is important, you don’t want something that makes you uncomfortable enough to cause a flare up. Free Trial – Having the ability to sleep on a mattress for a few weeks gives you a chance to grow into your mattress. It gives you the time to figure out if the mattress is right for you or if you need something different. Not only that, but in your quest for a mattress for joint pain, a free trial gives you piece of mind because if you find a bed for arthritis that doesn’t work for you, you can always send it back and find a better one. Every Nolah mattress is made of a special patented air foam specific to Nolah mattresses. The responsive foam offers the comfort of memory foam, but it’s bouncier like latex. 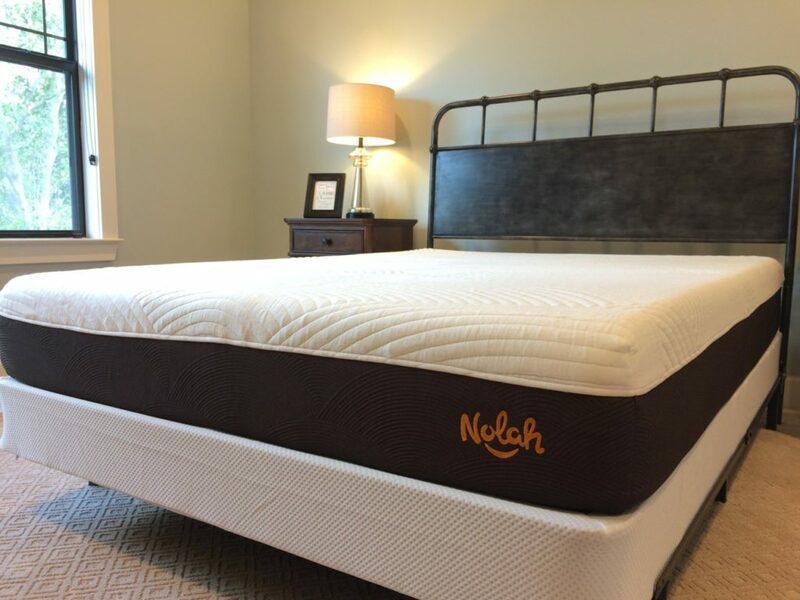 Known for the ability to provide pressure relief, Nolah’s air foam has been shown to offer 4 times better pressure relief than a memory foam mattress! 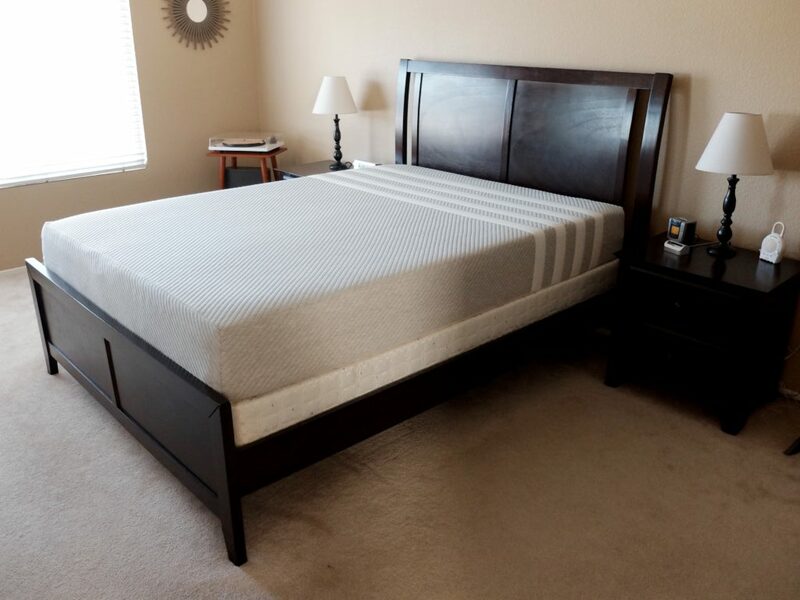 This is the softest mattress of the three mentioned though it should work well for someone with joint pain thanks to the contouring and pressure relief that each mattress offers. If you’re worried about a warranty, you’ll have 15-years. More importantly, for now, is that Nolah offers a 4-month sleep trial. Most experts recommend sleeping on a bed for at least a month before you know it’s for you. Well, this gives you plenty of time to experience the Nolah and to see if it improves your sleep. If not, you can return it. Also, every time you buy a Nolah they adopt an animal! You can pick from a list or choose an option that lets them pick for you. 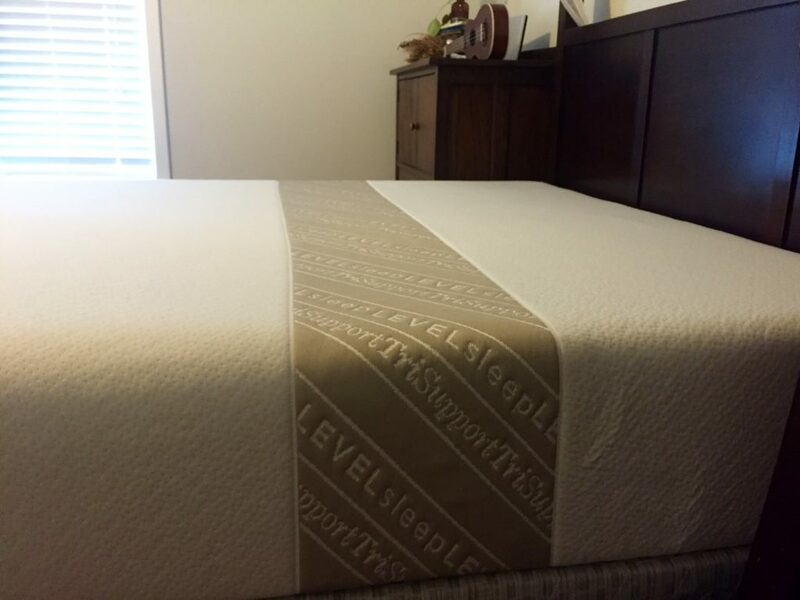 You can learn more in our Nolah mattress review! You can also save $125 by using promo code SLEEPZOO at checkout. For other coupon options, check out these Nolah coupon codes. A Leesa mattress is made of varying layers of 10” of foam. The bottom is made of high density, supportive foam. Memory foam is the middle layer. The top layer is a specialty foam, comparable to latex, known as Avena foam. Leesa is more on the firm side, but it’s not too firm. This type of middle-of-the-road firmness is just the type of thing you need for joint pain. It also has a cooler feel and foam that keeps the temperature down. This could help reduce any pain in your joints. As for pricing, Leesa mattresses are affordable, with the most expensive mattress costing less than $1,000. They are also conscious that not everyone can afford a bed, so with every ten Leesa mattresses purchased, one is given to someone in need. Perhaps most important for someone with arthritis, Leesa gives you 100-nights to become acquainted with this mattress. In the event it’s not the answer you’re looking for, you can return it. If possible, returned mattresses will be donated. Check out our Leesa review to learn more! It’s been over 12 years since Eve started designing their one mattress. The goal with Eve was to create one mattress and make it the most comfortable mattress available. After 70,000+ adjustments, it’s clear the comfort of their customers is still at the forefront of their business model. The Eve mattress is what many call semi-firm. It’s not too hard and certainly offers a little give, but it is on the firmer side. Eve mattresses are made of a specialty foam. For you that means that the mattress should feel cooler when you sleep, and it will have a better bounce than traditional foam mattresses. Your price for an Eve mattress will be cheaper than many other options because they only sell mattresses online. This cuts the middle man, and the cost, to ensure that you get the best price. Even though Eve mattresses are made in the UK, they are shipped to the US and will arrive within 7 working days. Multiple payment methods, including a payment plan, are available. You can even use Amazon, though you should be aware that will shrink your free trial. The Eve free trial, when purchased from the Eve website, is 100-nights. If you don’t like the mattress, just send it back and Eve will make sure you’re not charged. We’ve got an Eve review available if you’d like to learn more! These are some of the best mattress for arthritis options. If you have a specific sleep style or you’re looking for a mattress to help ease some pain or another problem, you can visit our Mattress Guide to find the right mattress for you! Hi Evans, nice list you got here. Arthritis is something that is sensitive and having a good mattress can save a lot. Have you tested the Zinus Green Tea Mattress yet? I find it to be comfy and also pain relieving.